Faranak joined Curetis USA in 2016 and serves as Senior Vice President of Scientific Affairs and Marketing. 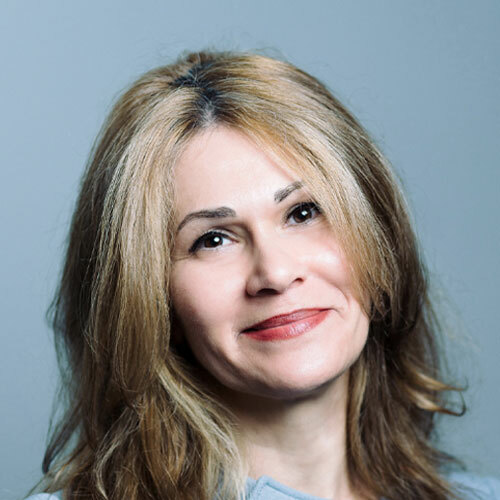 Prior to Curetis, Faranak served as Senior Director of Strategic Marketing and Scientific Affairs for GenMark Diagnostics, responsible for menu and market strategy and developing a network of key opinion leaders in clinical microbiology and infectious diseases. Previously, Faranak has held a number of successively larger roles across marketing, business development, scientific affairs, and R&D with The Binding Site, Alere, Ventana Medical Systems, and DAKO Corporation, leading global commercialization of products, developing strategic product and market opportunities, and leading project teams through PMA and 510k submissions of several diagnostic products. Faranak obtained her undergraduate degree in Biochemistry and Molecular Biology and graduate degree in Physiology and Cell Biology from University of California, Santa Barbara, USA.